MEDIEVAL tapestry shows noblemen in hot pursuit of a werewolf. LONDON — Britain’s big-hearted Prince William is spearheading a campaign to ban the controversial English sport of werewolf hunting once and for all! 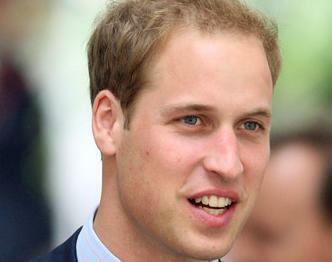 HUMANITARIAN: Prince William is under fire from fellow aristocrats for his brave stand. But aristocrats whose families have taken part in the festive weekend hunting jaunts for generations are up in arms, denouncing the handsome blueblood as a traitor to his class. Werewolf hunts have been documented in England and France since the Middle Ages. Indeed, in feudal times it was considered part of a nobleman’s duty to put down any werewolf stalking his lands. 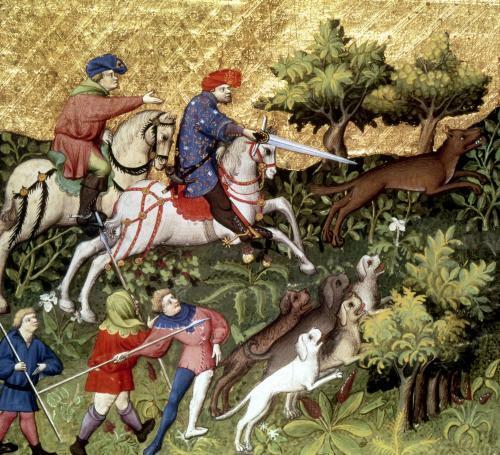 MONSTER SLAYER: King Henry VIII led many werewolf hunts. 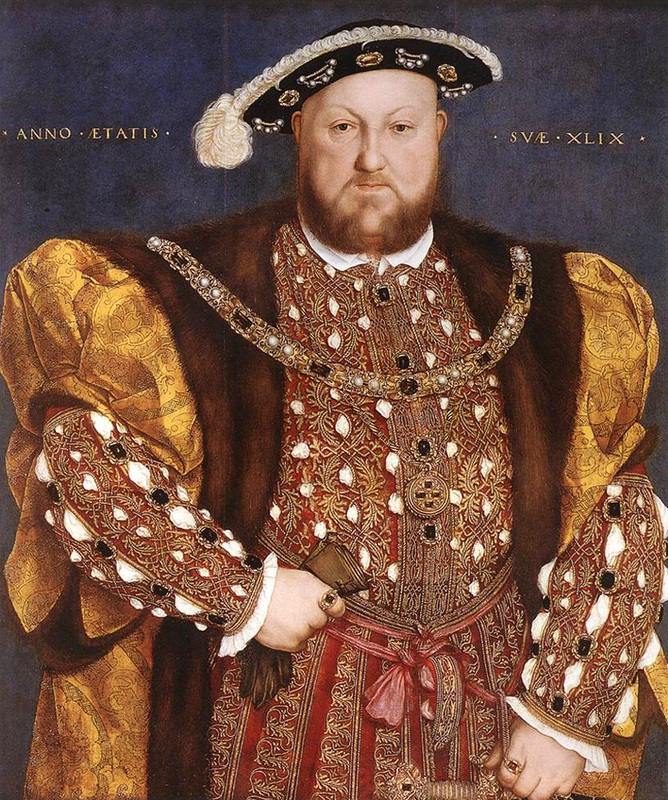 King Henry VIII was a prodigious hunter and was never seen without his trademark werewolf pelt vest or a strip of the creatures’ fur hanging from his belt beside his codpiece. The hunts were so successful that by 1760, werewolves were virtually extinct in the British Isles, along with ordinary wolves that were caught in the crossfire. The Royal Family remained avid supporters of the hunts until recently. A famous 1935 photograph shows King Edward VII holding aloft a werewolf head after a hunt. He presented the grisly trophy to his houseguest Wallis Simpson, the divorcee for whom he would abdicate the throne a short time later. Close chums and relatives of royals routinely joined them on hunts. Legendary war hero Lord Mountbatten is said to have carried the stump of a werewolf tail in his pocket for years as a lucky charm. TALLY HO! Aristocrats set off on a “fun” werewolf hunt. 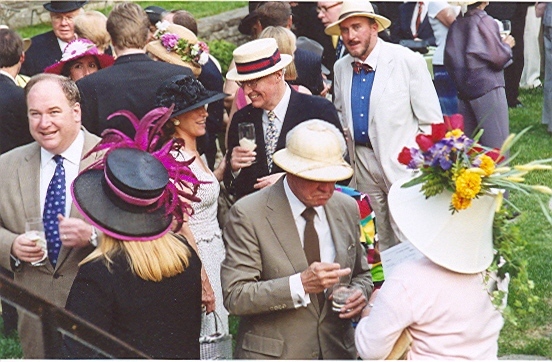 Animal-rights activists have been battling to outlaw the practice for decades, forcing aristocrats to conduct them out of the public eye, with little fanfare and no press coverage permitted. “Although hunters are armed with rifles loaded with silver bullets, it is tradition that silver pikes be used to kill the surrounded werewolf,” explains animal-rights crusader Ellington-Hyde. PRE-HUNT BRUNCH: Werewolf hunts are festive all-weekend get-togethers for upper crust. Brits. Evidently, sons William and Harry picked up their father’s aversion to the sport. While frequently pictured in the press playing polo and rugby, neither has ever been photographed in werewolf-hunting attire. The ban would impose hefty 130,000 pound fine on anyone who shoots a werewolf except in self defense.The measure is moving through Parliament and could come up for a vote as early as next month. If passed, England would be only the second U.N. country where the killing of a monster is outlawed. Shooting a zombie in the head has been a violation of Haitian law since 1988. Opponents vow to fight the law tooth and nail. 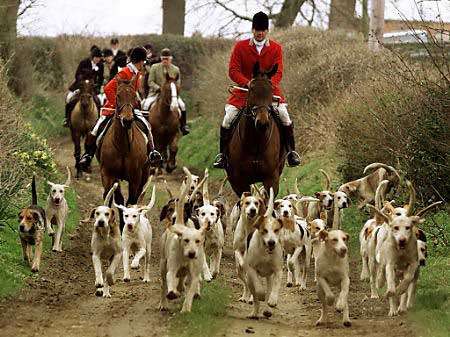 “Perhaps when Great Britain is once again overrun by packs of bloodthirsty werewolves ravaging the countryside, the wisdom of our forefathers in holding these hunts will at last be understood,” declared the baron. 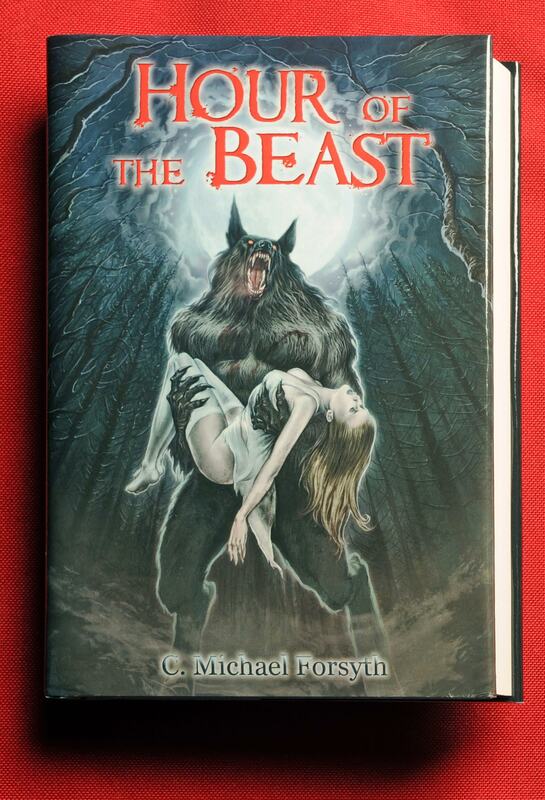 C. Michael Forsyth’s new horror novel Hour of the Beast is “the best summer read ever,” one Amazon reviewer declares. To check out HOUR OF THE BEAST, click HERE. Bravo, I have stopped hunting werewolves after reading this article.